Pricing. Big Box stores have access to better pricing because of larger purchases. Sure, the small business can often buy larger quantities and get better pricing too. But they often don’t have the shelf space or cash flow to justify the larger purchase needed to get the pricing they want. It’s also a known fact that some big chain stores use their size advantage to put pressure on (read: bully) their vendors for better pricing in order to keep their contracts. Convenience. Consumers are often in a hurry, and if they can cross off two items on the shopping list in a single stop, they’ll do it to save a few minutes. Why go all the way across town and make another stop, when they can simply grab both things in one place? Selection. Where that gadget at the locally-owned store might be almost what the consumer needs, the chain store may have four variations to choose from. Another aspect of the chain store’s product variety is the impulse buy. Let’s face it – we live in a society of instant gratification. Have you ever noticed the massive amount of smaller, inexpensive items clustered near the checkouts? That’s no accident. There’s sound psychological reasoning behind it. When a consumer has made up his mind about a purchase and has the item(s) in his cart, he has accepted the fact that he’s about to let go of some cash. The thought of adding a few bucks to the purchase is no big deal at that point. Hence, the impulse buy. So as a small business, what are you to do? How can you compete against all of that? How do you beat them at their own game? The quick answer: change the rules, change the game. Don’t play their game. Is it easy? No. Is it simple? Yes. One of the secrets to defeating any opponent is to expose and exploit their weakness. Make no mistake, those national retail giants have their advantages. But on their way up to the top of the heap, they are forced to give up a few advantages along the way. Those are weaknesses – they are your advantage. Let’s take a look at some of those. Size is Proportional to Adaptability. Because of their business size and the systems needed to keep them there, big chains aren’t nearly as adaptable to change as the small business. Imagine changing an accounting system or card processing machine. Of course, it’s no picnic, but as a small business you only have to implement it once (or a few times, depending on your number of locations). The cost and time to implement a change like that across 20,000 stores is a major undertaking. Make needed changes swiftly and get ahead of the game. Customer Value is a Different Equation. Consider the cost of losing a customer to the chain store. Of course, nobody wants to lose a customer, but the big box isn’t nearly as likely to fight to make a customer happy – or keep them happy. The first rule of big business is profit, and it’s the same for a small business. Customer satisfaction is a much closer second place in the small company.Fight to keep your customers happy. Flexibility – a Two-Edged Sword. This one is also related to customer value, in that small businesses have more flexibility to please an unhappy customer. They are usually willing to go farther to make it happen, because the cost of losing a customer is too great. On the flip side, exercising that flexibility can come at a greater impact to the cash flow for the small company. You must evaluate the long-term value of a customer, the cost to the business, and the individual situation. Exercise your flexibility, it’s an advantage. Hey Bill, How’s Your Project Coming Along? The ability to foster great personal relationships is most likely one of the most powerful advantages you have as a small company. It’s impossible for anyone to manage thousands of relationships with thousands of customers. You can leverage that fact by always making a deliberate, daily effort to strengthen connections with your customers. This is a clear example of ‘Simple, but not always easy.’ As a business owner, you know that some customers are harder to deal with than others. Some will take more work than others. But more often than not, if you are diligent, those ‘hard’ customers will soften in time. Make it a daily goal to learn something new about your customers. Ask questions, make people feel great about themselves, and make yourself a friend. Following up on the idea of Adaptability, running a contest or promotion is a much easier task for the small business. Run a contest for loyalty or refer-a-friend that involves a worthwhile prize at the end. Remember the example above about convenience of killing two birds with one stop? If there’s a punch card or something similar involved at your business, that may be just the thing that makes it worthwhile for people to make that extra stop. Social Media can also be much more effective for the small business – especially when it comes to promotions. It takes consistent work to keep your audience engaged, but think about what makes social media so popular in the first place – peer recognition. If you are running a promo on Facebook, for example, you can post updates specifically about your customers, who’s ahead in the game, etc. Be sure to use photos! People LOVE to be recognized on social media. For a list of really great ideas for more engagement and contests for Facebook, go here. Take advantage of contests, promotions, and social media. 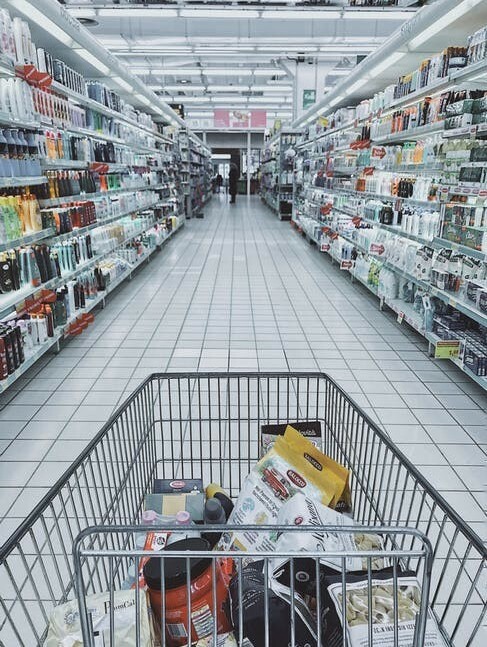 To help combat the large array of products in the superstores, make an effort to curate truly unique products that customers won’t find anywhere else. It takes time, but every effort you make to set yourself apart can pay big dividends in customer loyalty. In addition to constantly adding new items, keep your inventory rotated. If you pay attention, most boutique gift and décor shops are always moving their inventory around, rearranging so that previously unnoticed items get noticed. Make your customers feel the changes every time they visit your store. There are many ways for the small business to compete in the face of big-box competition. Because you’re small doesn’t mean you can’t compete. You just can’t always compete on price – but it’s not always about the money. The bottom line is, there are many ways to gain an advantage and exploit your small-ness – if you really want to. It won’t happen by itself, though. You have to make it a goal and commit to think about it daily to make it happen. Ask your friends and customers for ideas. Visit similar small businesses to see what they are doing that you can use. Don’t be afraid to do something unorthodox. Remember, being small and being different is not only a big part of your advantage, it’s your superpower.